When Catalonia, after a referendum, decided to become independent from Spain, Madrid responded with a swift and thorough crackdown. Politicians and activists were scooped up by the dozen, and 25 are facing decades in jail. The October 1 2017 independence referendum in Catalonia returned an overwhelming result in favor of secession, albeit at a below-50 percent turnout. At the end of the month, the Catalan parliament declared independence – and was immediately overruled by the central government. 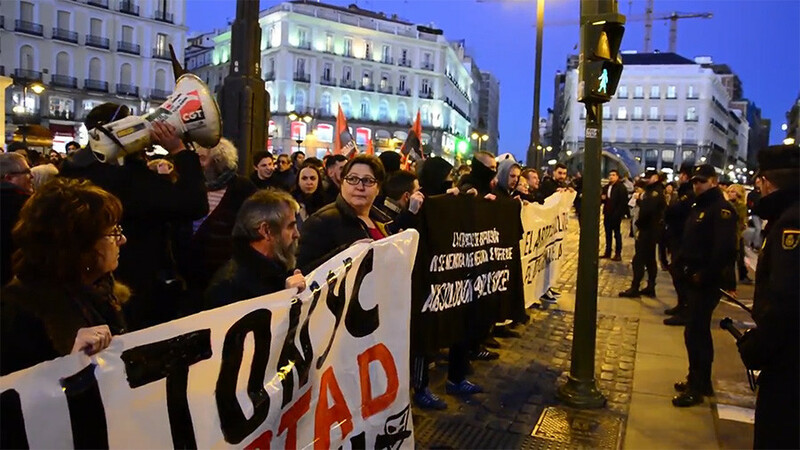 Madrid took direct control of the province, sacked the entire cabinet, and began arresting officials and activists alike. Spain’s central government then set a snap general election for December, so that a new parliament can form the autonomous local government again – in the apparent hope that the independence movement would lose its grip on power. 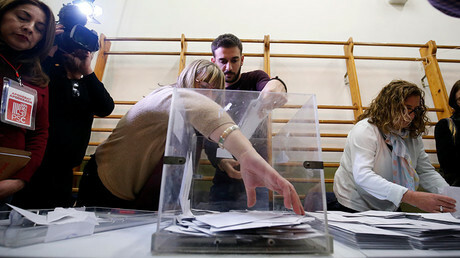 Instead, the pro-independence parties made gains and while the pro-unionist Citizens became the single largest party in parliament with over 25 percent of the vote, it faces a secessionist alliance with a combined total of over 40 percent. But former ministers, scattered, charged or locked up after Madrid’s crackdown, will have a hard time retaking office: while they can claim to hold their posts in absentia, their ability to actually exercise power is severely limited. Spain targets 25 Catalan leaders with prosecution for rebellion, sedition and other crimes related to the aborted independence bid. The most serious charge of rebellion was brought against 13 on Friday by Spain’s Supreme Court. Later that same day, the Supreme Court ordered five Catalan leaders accused of rebellion to be jailed, pending their trials. 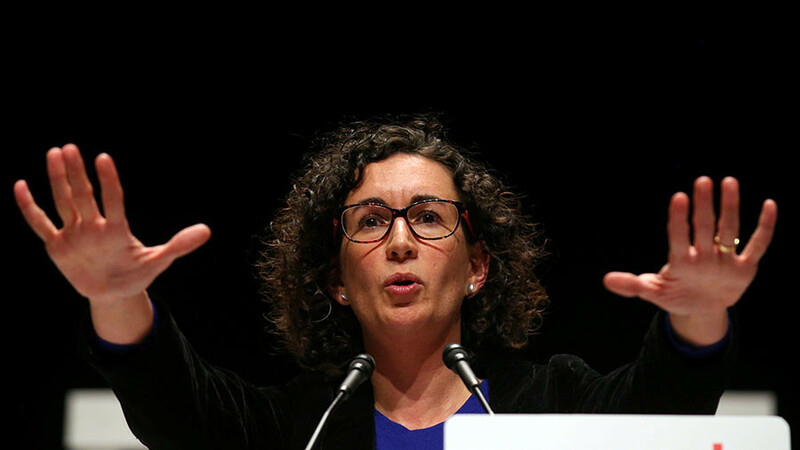 The list includes Jordi Turull, the latest candidate to become a regional president, the former members of the Catalan government, Josep Rull, Raul Romeva and Dolors Bassa, as well as the former president of the Catalan Parliament, Carme Forcadell. Turull, Rull and Romeva will be sent to the prison of Estremera, where two other Catalan leaders, Oriol Junqueras and Joaquim Forn, are already being held. Forcadell and Bassa will be sent to the prison of Alcala Meco, according to local media. Here are the key figures of the Catalan independence movement. 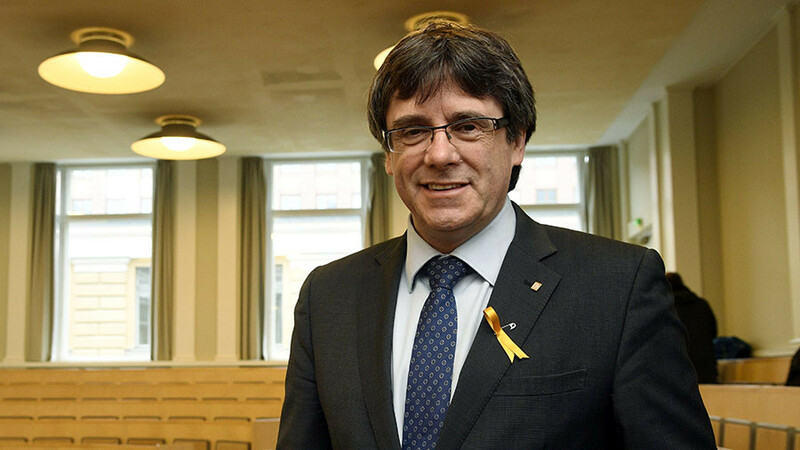 Catalonia’s top man at the time, President of the Generalitat Carles Puigdemont fled to Belgium on October 30 along with a number of his ministers, subject to European arrest warrants issued by Madrid. While reports on the particular routes they took were confused, all in all eight officials ended up in Brussels. Three of those, including Interior Minsiter Joaquim Forn, returned to Catalonia the next day to be arrested and charged. Later, European arrest warrants were lifted, but the fugitives still face arrest should they set foot in Spain again. 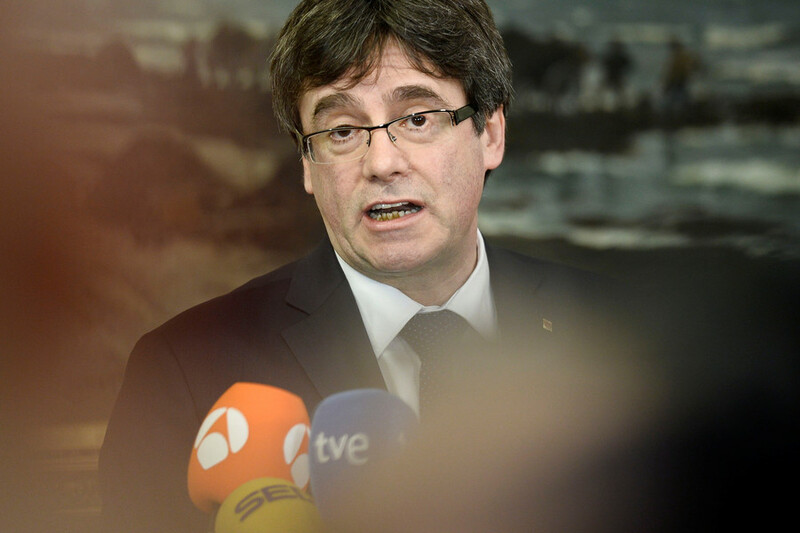 Puigdemont remains exiled and politically active. After the December 20 general election dashed Madrid’s hopes of a more unionist parliament for Catalonia, his party nominated him for the presidency again. Puigdemont initially hoped he would be able to fulfill the role remotely, but has now stepped aside and endorsed Jordi Sanchez – another icon of the separatist movement, now in a Madrid jail awaiting trial on sedition charges. 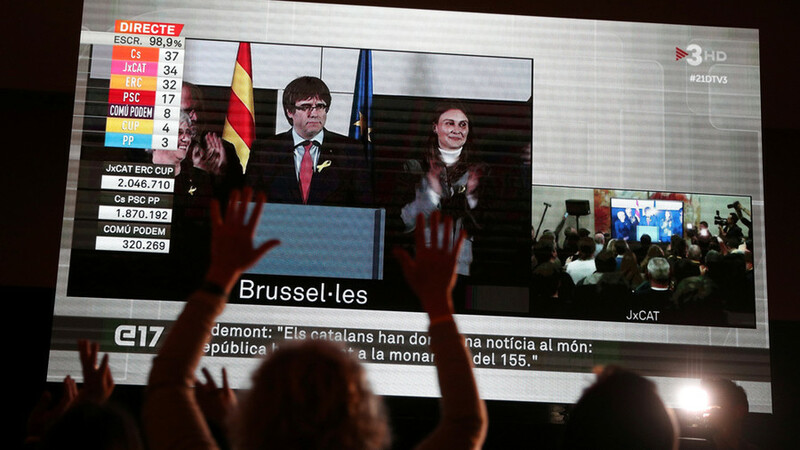 The former president is now forming his own “government in exile,” the Council of the Republic that will promote Catalan independence remotely from Belgium. In Spain, he is charged with rebellion, sedition and misuse of public funds. Of those charges rebellion is the most serious and carries a jail term of up to 30 years. While Puigdemont is setting up a new headquarters in Belgium, his wife, Romanian-born journalist Marcela Topor, campaigns for his cause in Catalan media and takes care of their two daughters, aged 10 and eight. A member of the Catalan parliament for the left-wing separatist Popular Unity Candidacy party (CUP), Anna Gabriel now resides in Switzerland. 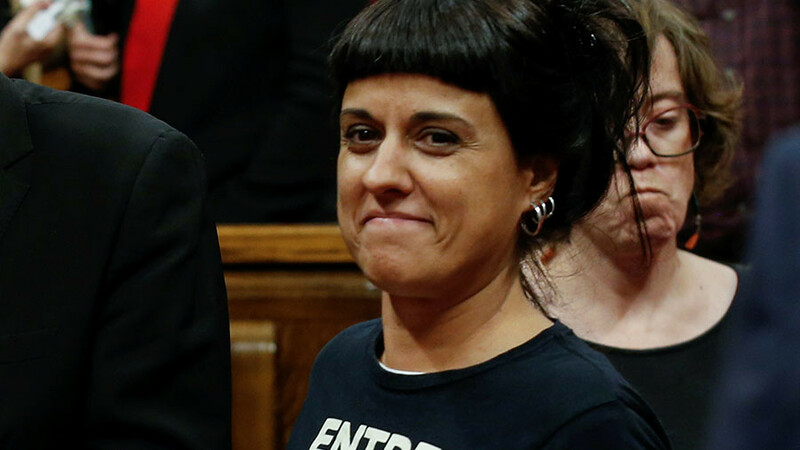 Along with a number of other Catalan MPs, she was summoned to appear before court in late February over her role in the October events. On the eve of the hearing, Gabriel said she wouldn’t go, because she fears her Madrid trial would not be fair and the court summons amounts to political persecution. By that time she had moved to Switzerland, out of reach of the arrest warrant that followed her failure to show up. Swiss law, per agreements with the EU, does not grant extradition requests in cases where the alleged crime has a political nature. “I won’t go to Madrid. I’m wanted for my political activities and the government press has already declared me guilty,” Gabriel told Swiss media. Rovira, the current head of Esquerra Republicana party, an MP in the Catalan parliament and one of the 13 people accused of rebellion, is the seventh Catalan official going into exile. After the Supreme Court ruling this week she announced she has fled the country. Most of the Catalans detained in Madrid’s crackdown have since been released on bail, like Rovira. Four people, however, were deemed too dangerous for that. The court decided that should they be set free, they would “reoffend”, flee, or tamper with evidence. Their fate is still in limbo, their sentences could amount to decades in prison, and their families fear they are being held hostage by Madrid. The highest-ranking of the four jailed rebels, 48-year-old Oriol Junqueras used to be the Catalan vice president and minister of finance. He lost both jobs when Madrid took direct control of the province, on the day of its short-lived declaration of independence. 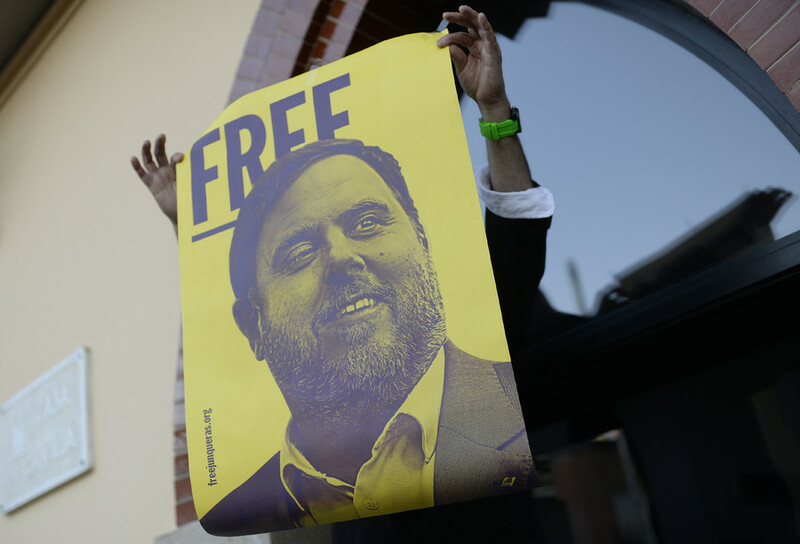 Despite still being behind bars, Junqueras ran for the Catalan parliament in absentia and retained his seat as the leader of the pro-independence coalition ERC-CatSi. Junqueras is in the Estremera prison 70km from Madrid. The “five-star prison” is outfitted with sports grounds and a swimming pool. Apart from disgraced politicians, it houses convicted rapists, pedophiles and murderers – although those are kept in separate sealed blocks. The ex-vice president has the right to 10 phone calls a week, five minutes apiece. Eight of those, he reportedly makes to his wife. Oriol Junqueras has been married to Neus Bramona, a school teacher and fellow independence activist, since 2013. They have two young children: six-year-old Lluc and two-year-old Joana. Rebellion, the worst charge brought against Junqueras, could see him remain behind bars for up to 30 years. The other charges, sedition and misuse of public funds, carry potential sentences of 15 and 6 years, respectively. Sharing the Estremera prison with Oriol Junqueras is the former Catalan Interior Minister Joaquim Forn, aged 53. Like Junqueras’, his office was suspended by Madrid’s takeover of the province. Also like Junqueras, Forn got elected into the Catalonian parliament in December, despite remaining behind bars. He is a member of Junts per Catalunya (all for Catalonia), exiled president Carles Puigdemont’s separatist political platform. 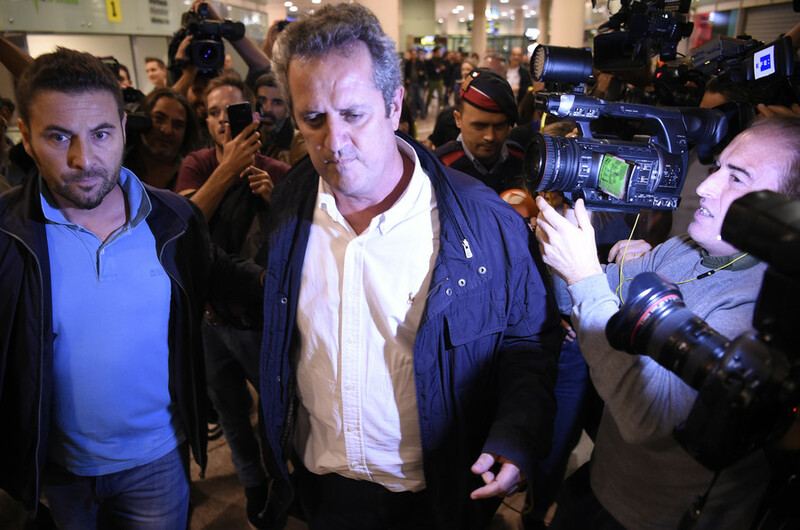 Forn and his wife, Laura Masvidal, have been married for 25 years – in fact, the anniversary came when he was already in prison. Laura gets to visit him in Estremera, although most times they have to speak through a glass wall. Their two daughters, aged 19 and 22, sometimes accompany her. Forn’s charges are the same as Junqueras’. The harshest, rebellion, could land him in prison for up to 30 years. Political scientist and university professor, 53-year-old Jordi Sanchez is now anointed by Carles Puigdemont to be the next President of the Generalitat of Catalonia. 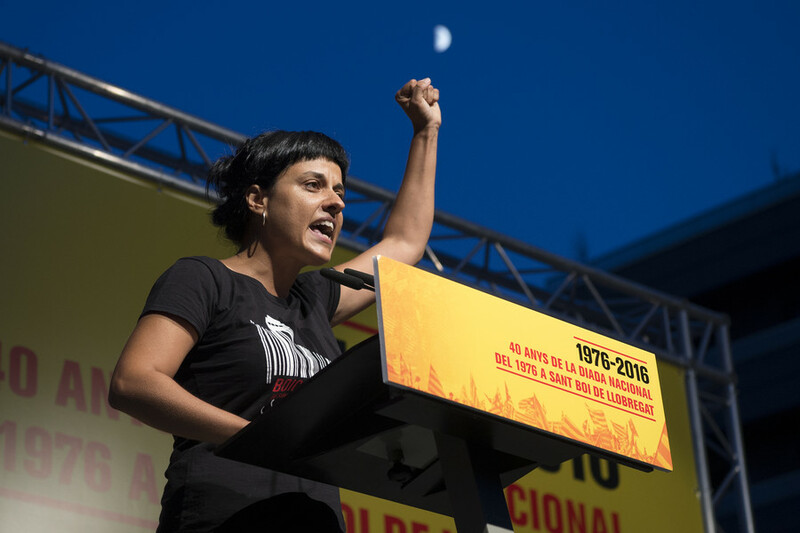 Sanchez gained prominence as the leader of the Catalan National Assembly (ANC), an 80,000-strong activist organization that wants Catalonia to be united and independent from Spain. 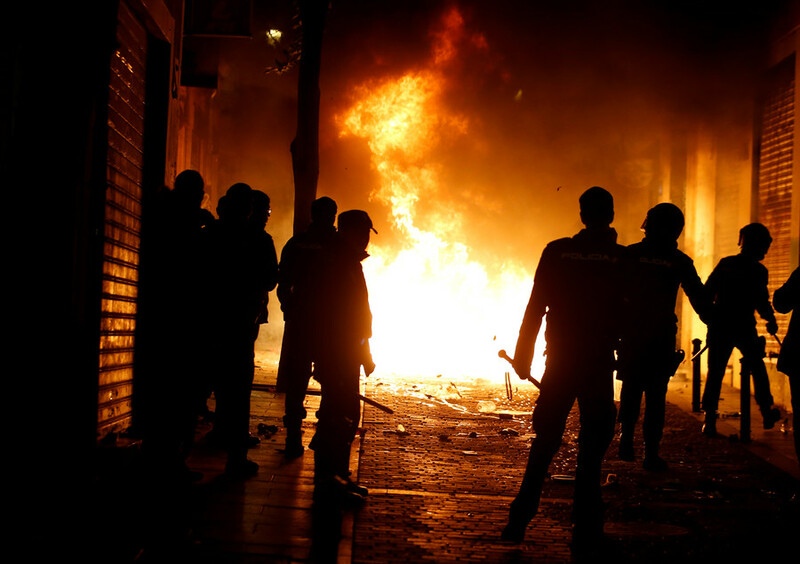 Sanchez was jailed in mid-October, charged with sedition for his role in the protests that erupted in Barcelona amid Madrid’s crackdown on the upcoming independence referendum. As demonstrators smashed vehicles of the Spanish Civil Guard, Sanchez and another independence activist, Jordi Cuixart, climbed on top of a car to call for peace. Still the judge ruled they were calling for a “mobilization” of separatist activists, and remanded them in custody. Sanchez was not a politician before the turmoil. He was only elected into the Catalan parliament – as part of Puigdemont’s Junts per Catalunya – last December, while in prison. He is being held in the Soto del Real prison, some 40km north of Madrid. Being the facility of reference for the Spanish High Court, it is deemed a “VIP prison,” its inmates are mostly bankers and businessmen charged with offences like fraud. In November, Sanchez reportedly witnessed a brawl in which one inmate stabbed another with a shiv. Sanchez is allowed to wear his personal clothes in prison, and to send them to his family for washing. He reportedly used the opportunity to send letters outside undetected – and faced the prison disciplinary committee for it. His wife Susanna Barrera was at home with their three children when she learned he would not be released on bail like most others charged along with him. “He is a political prisoner, even though he is not a politician,” she said in an interview. Jordi Sanchez could face up to 15 years in prison if convicted on sedition charges. Self-made businessman Jordi Cuixart, 42, leads another pro-independence activist group, the 73,000-strong Omnium Cultural. 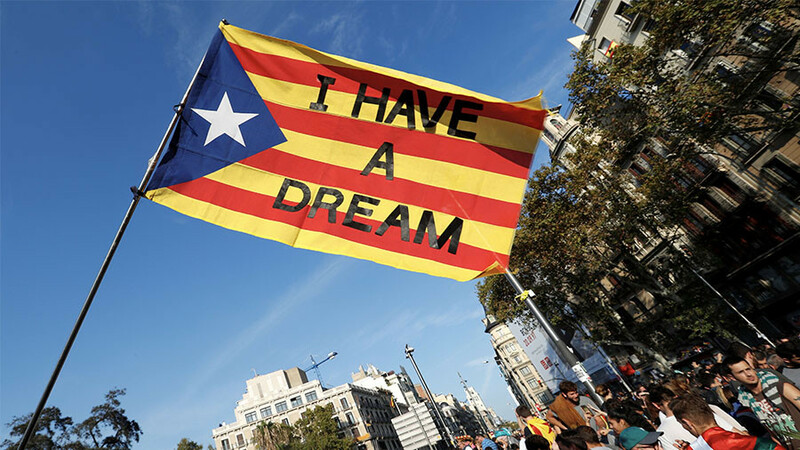 It started out in the 1960s with a goal to promote the Catalan language and culture, but gradually its influence spread and in 2012, it joined the independence movement. Cuixart never entered the December 2017 election, remaining the only one on this list to keep out of official politics. That doesn’t mean he is not important, though: His wife said in late January he had received 160 kilograms of letters from his supporters. In Soto del Real, Cuixart reportedly has a cell to himself. He doesn’t associate much with other inmates, instead having a lot of meetings with his lawyers in a bid to keep his packaging business running. His wife, journalist Txell Bonet, campaigns for the release of her husband and the other three detainees together with their spouses. Her and Cuixart’s son is only 10 months old. Along with Sanchez, Cuixart is charged with sedition, a crime worth a 15-year jail term.